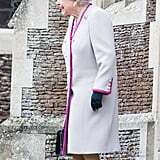 A very busy season of festivities continued for the royal family as they walked to St. Mary Magdalene Church in Sandringham for the morning service on Christmas Day. 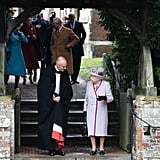 The church visit is a royal tradition, and a number of senior members of the royal family were in attendance, including Prince Charles, the Duke and Duchess of Cambridge, and the Duke and Duchess of Sussex. 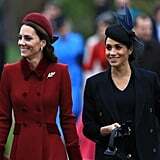 Though there have been rumors of a rift between William and Kate and Harry and Meghan recently, it seemed like business as usual as the fab four arrived at the church in their warmest Winter outfits: Kate in red and Meghan in all black. 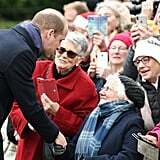 Christmas is a notoriously busy time for the royals, and festivities began on Dec. 19, when members of the family visited Buckingham Palace for the queen's Christmas lunch. 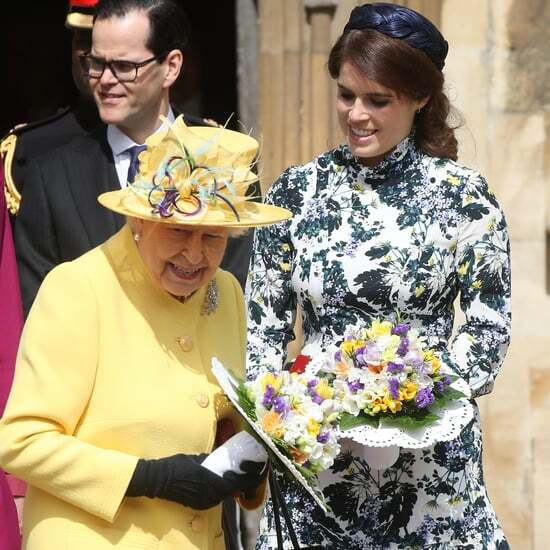 Following this, Queen Elizabeth II was spotted boarding a Norfolk-bound train for her annual trip to Sandringham. 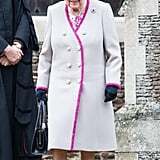 The queen famously travels on a regularly scheduled train service each year (though she has her own private first class carriage, naturally). 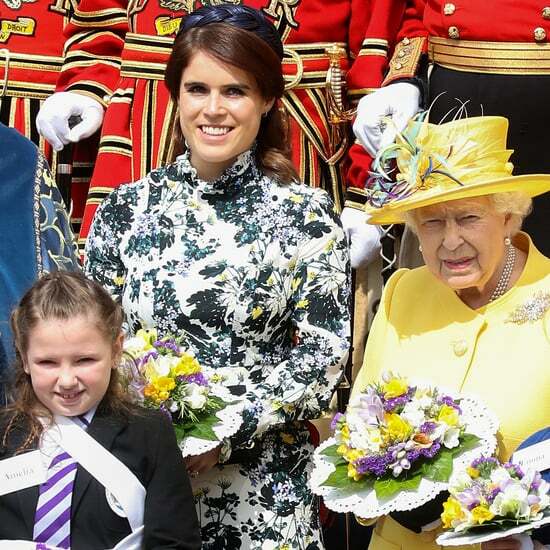 Once the queen arrives at Sandringham, the rest of the family quickly follows. 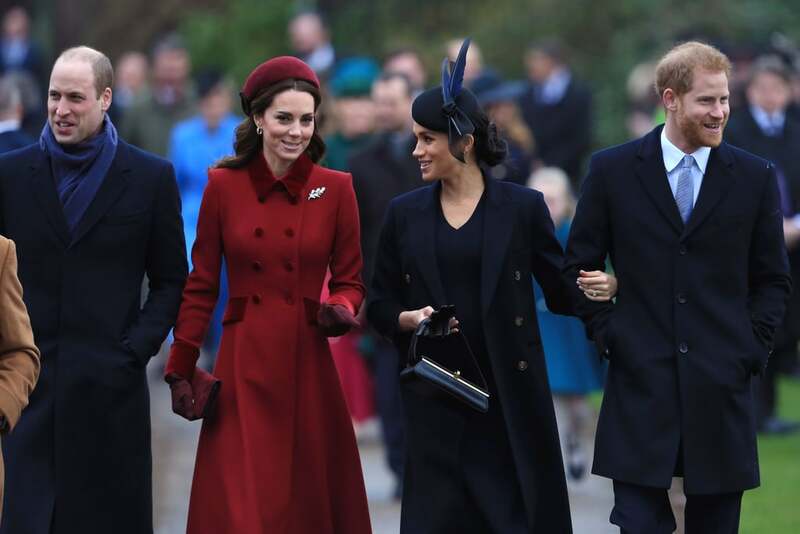 After the church service, the family will return to Sandringham for a traditional Christmas lunch. 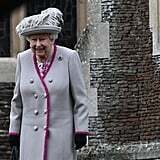 It's likely they will then gather around the television to watch the queen's speech, which the monarch prerecords in the weeks leading up to Christmas. This year, she definitely has plenty to talk about!